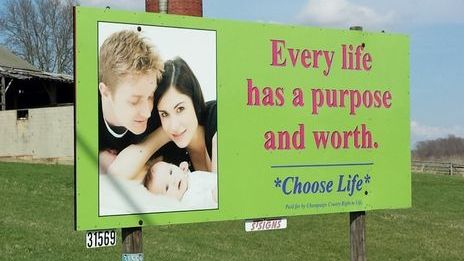 Life begins at conception and ends at natural death. The sign to the left was designed by me and is currently in several locations throughout Champaign County. I believe life starts at conception and ends at natural death. I have been a member and vice president of Champaign County Right to Life for over 7 years. I personally have designed billboards which are all over Champaign County and performed literature drops at local colleges and work our fair booth. We need to show mothers and fathers the great power and beauty they share in creation and the influence and love they can have over their children. And if the mother decides, for personal reasons, this is not the right time for her to raise a child; adoption is a loving option that gives a child a chance at life. I have gone through private and public foster and adoption classes at various agencies in Ohio and know many families who are desperately waiting to adopt even one child. This is another issue that I believe hurts families and our culture, increases the expenses to government, and contributes to the breakdown of marriage and family. We must support marriages between one mother and one father to build strong families. 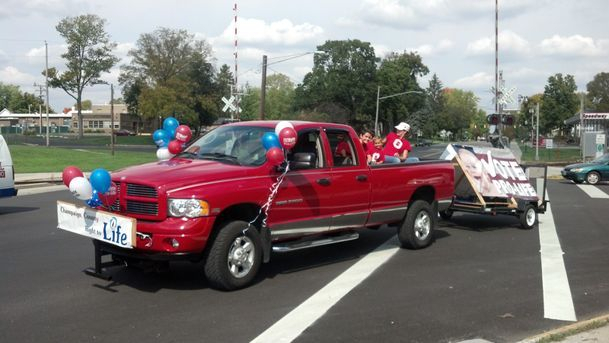 This is one of many parades the Vitale family has been involved in. We decorate our farm truck and a trailer and Celebrate Life! This is from the 2012 parade. Nothing better than a truck full of kids. 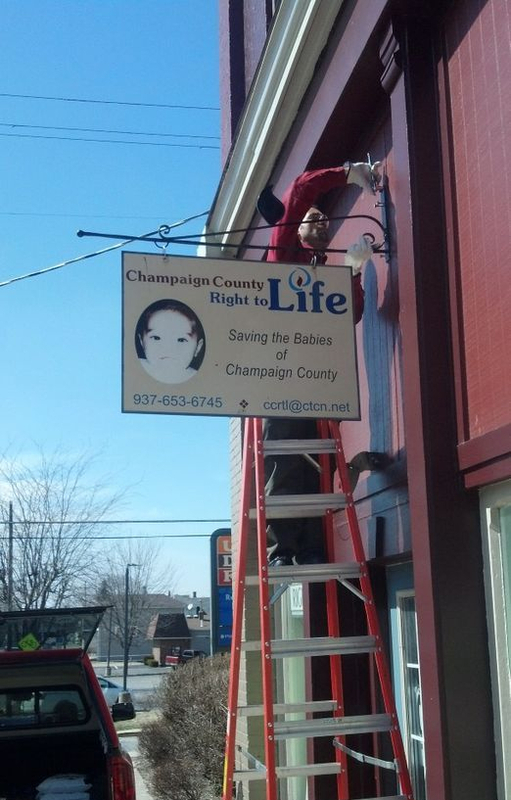 Fixing the sign at the Champaign County Right to Life Office. The wind played havoc on the metal holder. Had to take it down and weld it.